A combination of enzymes that occur naturally in the juice and stem of pineapples, it was originally isolated from the pineapple plant in the late 19th century. In the Caribbean, it is a very popular meat tenderizer and this is one reason why people usually serve pineapple with pork. Since it is a proteolytic enzyme, it aids the digestion of protein and improves the absorption of nutrients found in foods and supplements. It believed to have additional benefits and is frequently sold as a natural anti-inflammatory for arthritis and similar conditions. It is quite a popular supplement in Germany where it enjoys the approval of the 'Commission E' for utilization as an anti inflammatory for the nose and sinuses for those patients who have had surgery or who have suffered an injury. Early results of some studies seem to indicate that it may be helpful in decreasing congestion, improving breathing and suppressing coughing when a person is suffering from sinusitis. While there have mixed results from the studies that have been undertaken, it is possible that bromelain reduces swelling, bruising, healing time and pain. If food is eaten bromelain can be taken as a digestive support, but bromelain should be taken on an empty stomach if it is used as an anti-inflammatory treatment, for good results. 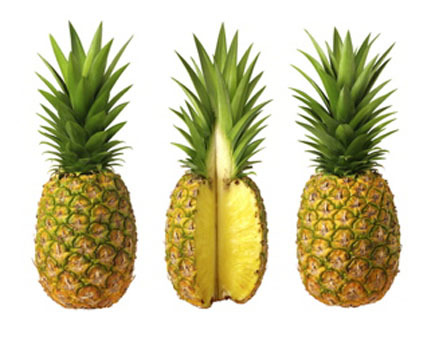 Bromelain might be a remedy for the mild discomfort connected to osteoarthritis. It is an ingredient that is often found in nutritional supplements that are marketed as a natural pain remedy for arthritis. Frequently it is used to decrease the inflammation connected with tendonitis, sprains and strains, as well as various general muscle injuries. It is possible for bromelain to digest proteins; it may also assist in relieving digestive issues, especially when utilized along with other digestive enzymes like amylase (which digests starch) and lipase (which digests fat). The control of the bacteria that causes diarrhea may be aided by bromelain's antibacterial effects, as suggested by one animal study. An additional study implies bromelain might be a good treatment for inflammatory bowel disease. It is possible that bromelain helps prevent platelets from adhering to one another and to the walls of the arteries, thereby helping to prevent hardening of the arteries. Clumping is additionally prevented, which causes a reduction in the risk of strokes, and heart attacks. The enhancement of medication absorption is another aspect that is beneficial with bromelain. A study was done in which 53 patients who had a variety of infectious conditions received both bromelain and antibiotics. It was demonstrated that patients who were given the combined therapy had a significant reduction in symptoms in comparison to those who only had the antibiotic. It could also increase the potency of sedatives, including alcohol, and could have an impact on herbs and drugs that are used to thin the blood. Although side effects of bromelain are usually mild, they can include nausea, vomiting, diarrhea, and heavy menstrual bleeding. People with pineapple allergies should not use bromelain since it may have a bad effect on the skin or produce symptoms similar to asthma.